Madrid is a city of dreams! A city full of life, energy, colors and culture, welcomes people from around the world with open arms. The city grows on you with time and once you have stayed long enough, you can't return. Trust me! I have been settled in this city since almost a year and it's impossible to return. Everyday I explore something new, some new corners and cafe, some new vibrant street and cuisine. This city is full of surprises and can't be explored in a few days. But since some people have just a few days in hand to explore everything, let's help you do that with the list of must visit places I have provided below with a self-modeled map of the city, which will make it easier for you to get around the city, followed by my recommended spots for food and drinks! Travel and explore Madrid with WanderPie. One of the largest parks in the city of Madrid, it is at its peak of beauty from the end of October to mid-November. This park has a lot to see but my recommendation is to visit the Crystal Palace and experience the boating in the central lake. Want to see the trendy and chic side of Madrid? Head towards the neighborhoods of Chueca and Malasaña which are adjacent to each other and connected by small cobbled streets exploring the artsy side of town. You can explore a new gem every time you visit and never be disappointed! An ancient Egyptian temple gifted to Spain by the Egyptian Government, located in the West Park (Park of the West), is a hidden treasure in the cosmopolitan city and can be best enjoyed with the beautiful sunset casting a ray of glow over its stone structure. Just a 2 minutes walk from here, you reach the Plaza de España, one of the largest notable squares of Spain with a monument to Cervantes (a great figure of Spanish literature). Have a leisurely walk around the square. A 5 minutes walk down south from Plaza de Españai s the Royal Palace of Madrid. It is stunning and breathtaking, even from the inside. The inside tour (11euros per adult) takes a few hours but is worth every penny. 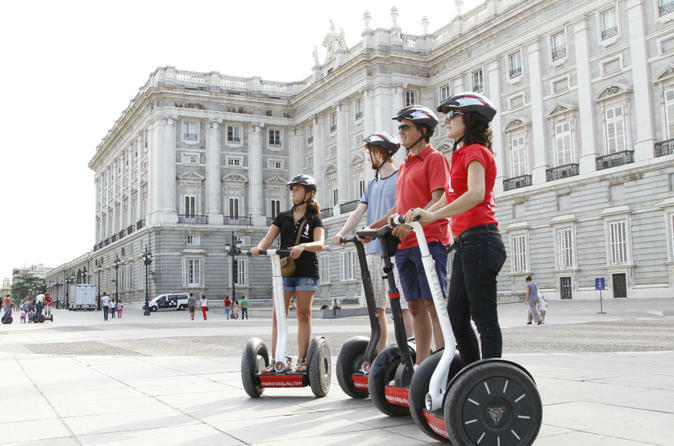 You can also take a segway tour around the palace! 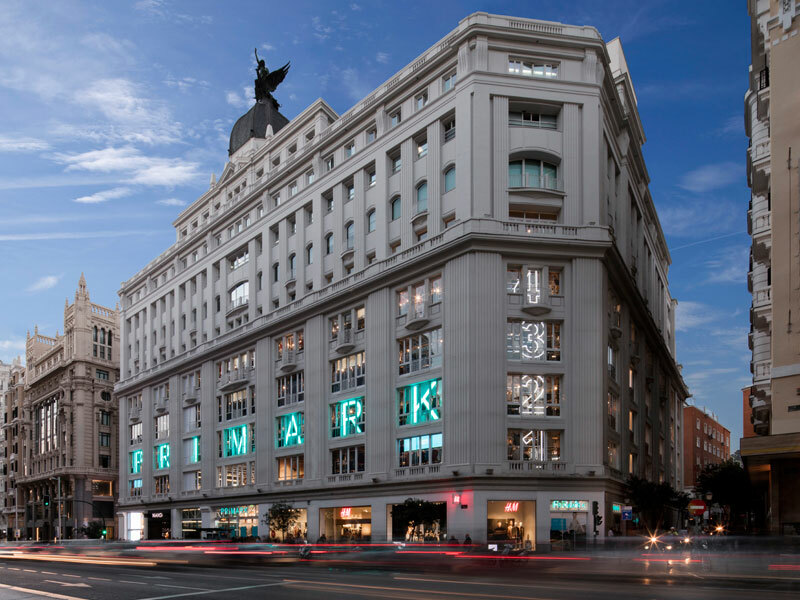 The high end and poshest neighborhood of Madrid with luxury brands and beckoning boutique stores. Its worth walking and experiencing the area while taking in the essence of how modernism meets tradition. This neighborhood is full of restaurants, pubs and nightlife. If you like walking in the city, from the Royal Palace walk another 8 minutes south to reach Plaza Mayor, which also acts as a connection between Sol & La Latina. La Latina is another chic yet rustic neighborhood (neighborhood). Tapas + Beer = La Latina !!! My recommendation to visit this neighborhood would be Sunday afternoon during the Rastro Market (For Indians, Its like Janpath market of Delhi, with every possible of item of sale). Timings of the market 10:00 a.m. - 2:00 p.m. When you in search of a slow day with a great weather at hand, you could seize the day by walking along the Madrid Rio (River). Its like a day spent at the park, strolling around (starting from Toledo Bridge towards Matadero Madrid).